PLLDF FILES U.S. SUPREME COURT AMICI CURIAE BRIEF IN LITTLE SISTERS OF THE POOR CASE – Pro Life Legal Defense Fund, Inc.
On January 11, 2016 PLLDF board members Dwight Duncan and Colbe Mazzarella filed a brief at the Supreme Court of the United States (SCOTUS) on behalf of Amici Curiae residents and families of residents at homes of the Little Sisters of the Poor in the case of Zubik, et. al. v. Burwell. Attorneys Duncan and Mazzarella acknowledged gratitude for PLLDF’s law student support. 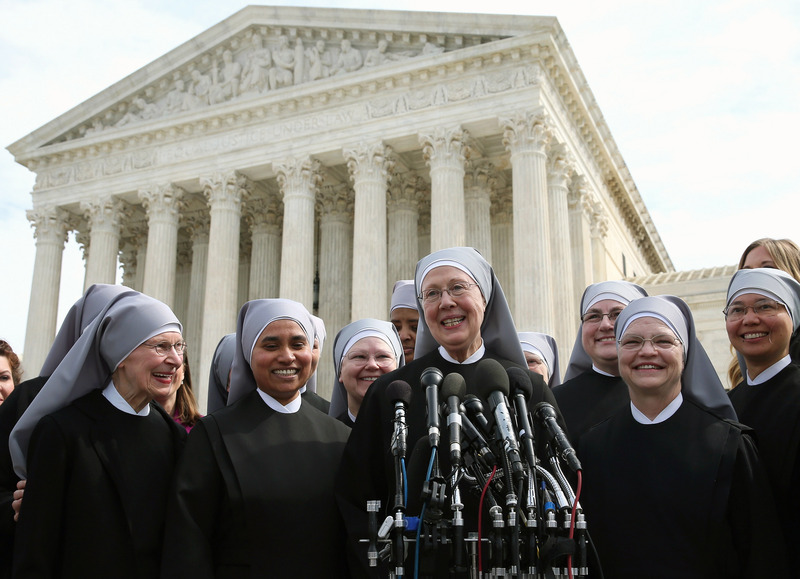 The Little Sisters of the Poor joined several other petitioners challenging the government’s so-called “accommodation” to the Affordable Care Act’s (ACA) contraceptive mandate. Regulations promulgated under the ACA require the Little Sisters’ health plan to cover contraceptives, including those which act as abortifacients, in violation of their deeply held religious beliefs and vows. See PLLDF’s brief in the hyperlink below.